How do fairies stay strong and healthy? By eating rainbows of course! You too can learn how to eat a rainbow and help other budding fairies grow beautiful, healthy wings by ordering your copy of How to Eat a Rainbow and supporting the indiegogo campaign that will get this very special book to print! Have you ever wondered where we fairies get our sparkle? Why we’re so happy? Well, I’m going to let you in on a little secret; it is our food! To keep our wings strong and give us energy for our important fairy duties, we eat a rainbow every day. We grow all our food in our magical fairy garden, so all our recipes are super fresh and bursting with vitamins and minerals. This book is a collection of our very best fairy recipes of raw food that are tasty and fun to make. A raw food is a vegetable, fruit, nut or seed that has not been heated too much. These foods are full of intact enzymes and are living foods, the way nature intended, and help children grow big and strong! Each recipe only needs what’s grown in our garden, nothing else! These recipes work well at snack, dessert and breakfast times to be enjoyed alongside a wholefood diet. 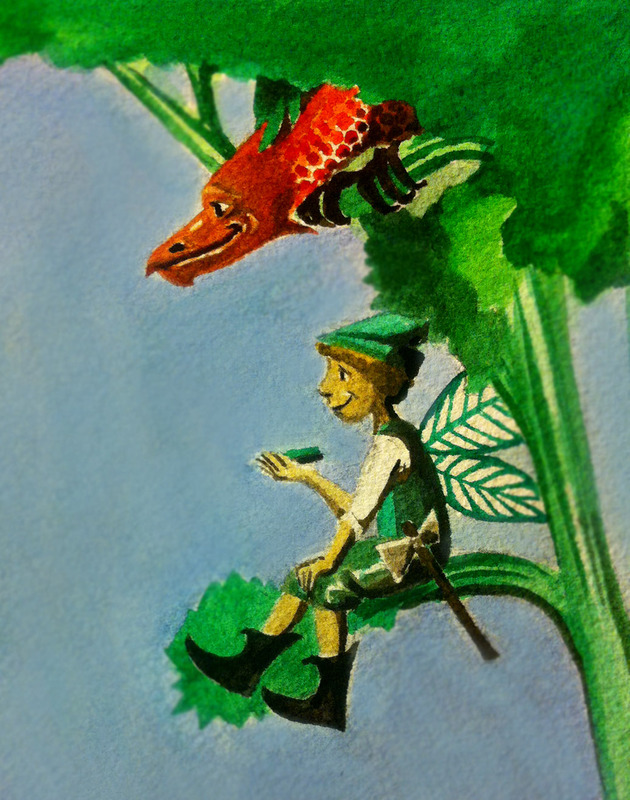 Our recipes have been taste tested and approved by our own little fairies. Eating these vegetables, fruits, nuts, and other super-foods every day can be difficult, but with a little creativity, fun and fairy magic, everyone can grow up learning about the importance of eating well and enjoying nature’s goodness. When you’ve mastered all the recipes you’ll eat just like a real fairy! You might need some help, so make sure you have a grown up with you while trying a recipe! Once you tried all the recipes and mastered our fairy skills, you’ll find a special certificate at the end of the book just for you! 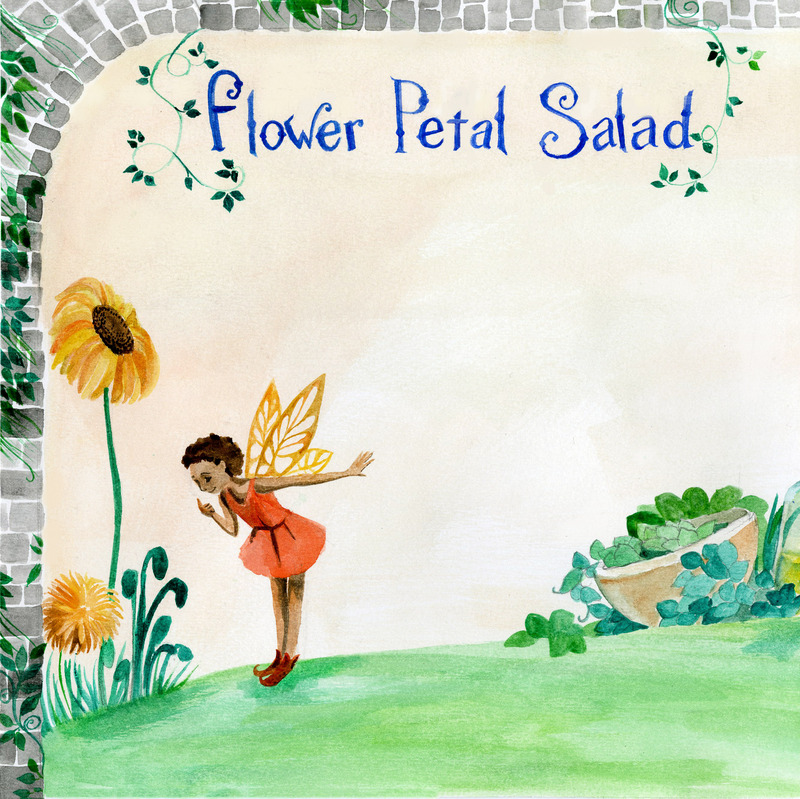 Flower petals make for a beautiful and tasty fairy salad. Some flowers can make us feel poorly so be sure to check with a grown up that you have the right one and that it free from any chemical nasties! Quite often you can buy edible flowers in your local supermarket, so keep an eye out for these! Arrange the salad leaves, seed sprouts, fruit and flower petals on a plate and dress them with olive oil and fresh lemon juice! If you want more magical raw vegan recipes for kids, secure your copy of How to Eat a Rainbow today!